As winter storms and freezing temperatures grip America’s northern states, they’ve created plenty of perilous situations. 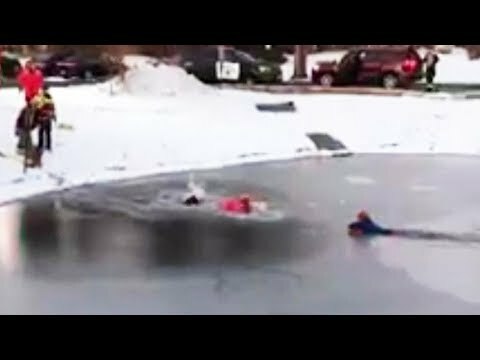 First responders in the Chicago suburb of Naperville rescued an 11-year-old boy from an icy pond. His feet had become stuck in the muddy pond floor, and he was at risk of exposure. An unlucky dog in New Jersey found itself in similar winter peril, after the 6-year-old golden retriever fell into a freezing river.